Today I was setting fences for a student who was riding one of my horses, Sammy. We’ve been working on strengthening her position and getting her riding fitness back up since having the summer off from riding. She has good jumping basics and her fitness is on track so today it was back to jumping. We started out with a cross rail which went beautifully. I told her to keep cantering and while she went around the arena, I made it a small vertical. She jumped that and I directed her to keep cantering. I made it a 1’6″ vertical. They jumped that beautifully. I told her to keep cantering, she jumped the next change I made to the fence. 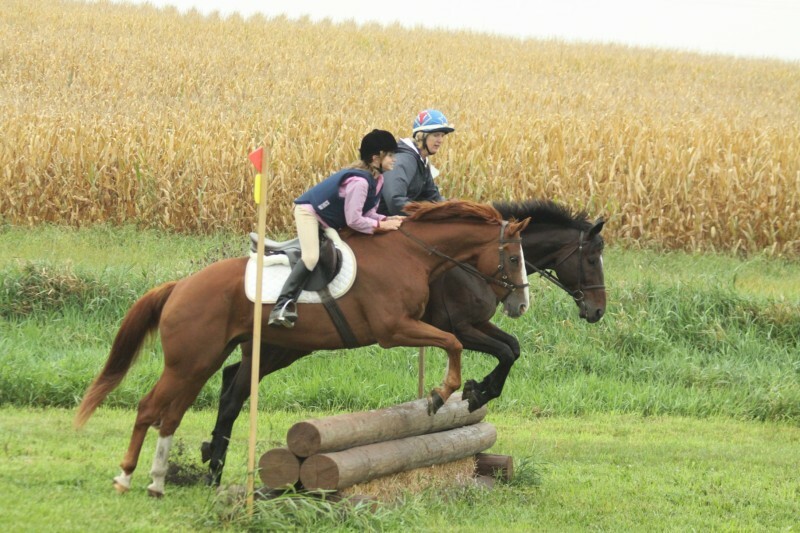 We kept at it until we were at a 2’9″ oxer, a pretty good effort for her level. What struck me about it was how very easy jumping is when the basics are right and the rider has confidence in herself, her trainer and the horse underneath her. It was nearly as fun to watch as it apparently was to do, judging by the big old smile on both the horse and the rider’s face at the end of the lesson. Speaking of getting the details right, and, as Nora Jones would say, “a little bit of nothin’ wrong”, here’s Peter Atkins and Henny running xc at Fair Hill last month. Watch and smile.